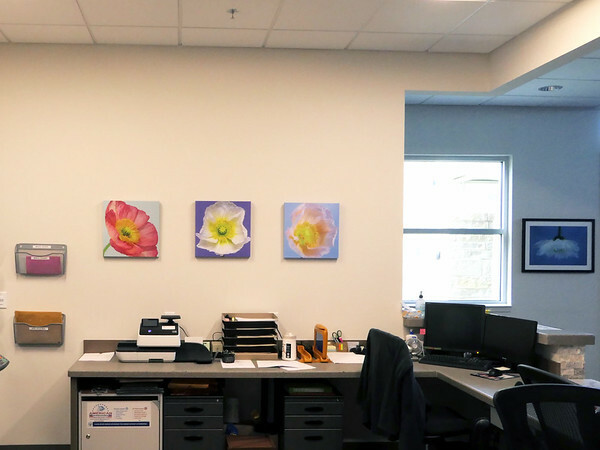 Family Healthcare Associates located in north Arlington, Texas recently purchased several pieces of art for their new clinic. The art provides patients with a way to view some of the beauties of nature from locations around the area. Images of flowers, nature and natural scenes help patients in a variety of ways. From lowering their anxiety levels while waiting to see the physician to decreasing pain levels to speeding up healing. Several research studies indicate these positive effects on people. More and more medical facilities and healthcare clinics are looking to add art to their design. 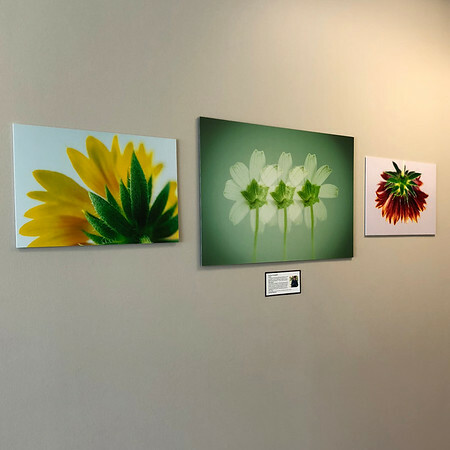 This physical therapy clinic in Arlington needed to add some art to their new location and selected three images from the "Blossom Bottoms" series. The flowers add a bit of color and beauty to their facility.